Subduing Mara, Calling the Earth to Witness. 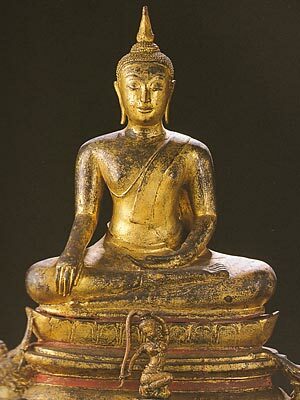 This gesture symbolizes enlightenment, as well as steadfastness (imperturbability). 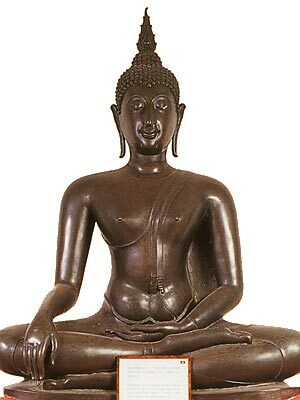 It is easily the most common Buddha gesture in Thai wats. The left hand rests on the lap, the right hand points to the ground, slightly touching it. Mara (representing evil) and his horde offer all kinds of earthly 'pleasures' such as riches, power, women. However, the Bodhisattva scorns it all, and continues to contemplate. 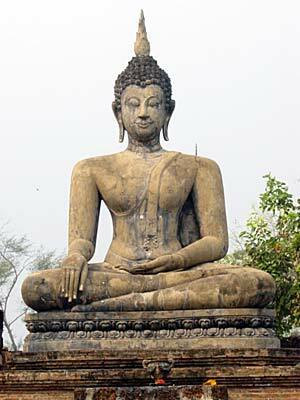 Buddha image presently at Phra Pathom Chedi. 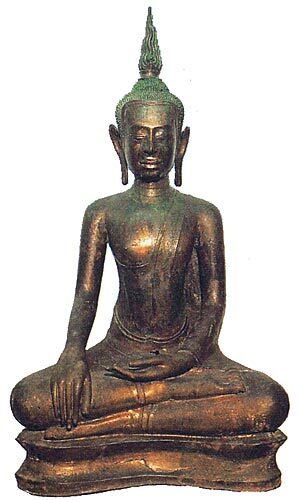 In the style of the Sukhothai period. Found at Wat Praya Krai (Jotanaram), Bangkok. 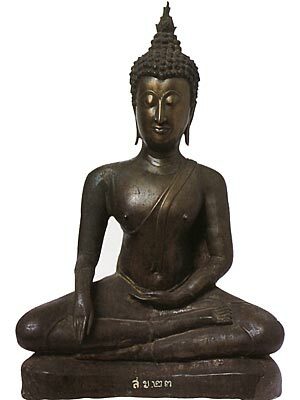 Buddha Image with the Gesture of Subduing Mara. Buddha at Wat Mahathat, Sukhothai Historical Park.